Since we introduced Chromebox for meetings just over two years ago, many of you have enjoyed how our devices make meetings simple and easy. Companies such as Flipkart, PwC, Pinterest and the State of Wyoming are spending less time setting up their conference calls and more time collaborating as groups across regions in rooms of all sizes with Chromebox for meetings. Today we’re making this easy collaboration available in smaller spaces and also improving remote device management. 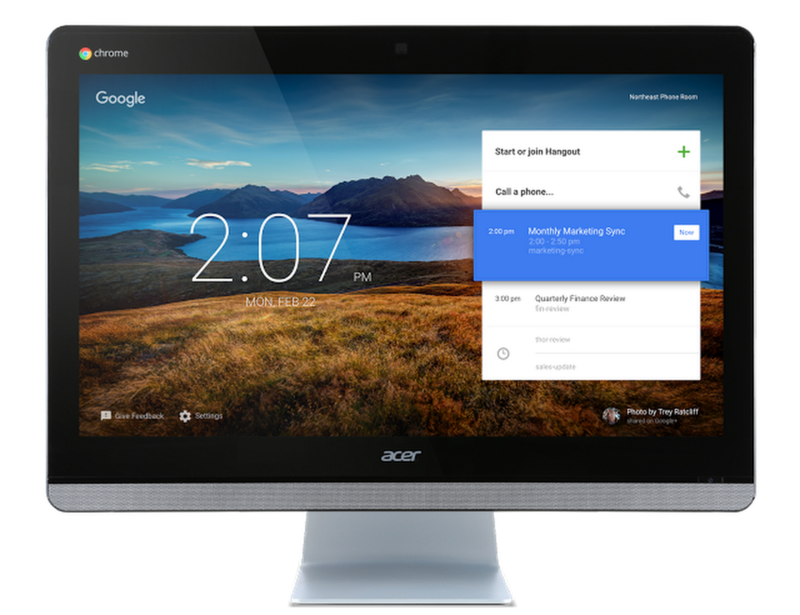 Say hello to the Acer Chromebase for meetings, an all-in-one secure video-conferencing device optimized for use in small meeting areas with up to two people. It's a secure, self updating, easy to manage unit that builds on Chrome and WebRTC innovations for sharper video, audio and screen sharing. Guest account support makes it simple to join a meeting even without a Google account: Just click a meeting link invitation and you’re connected. So now, you can collaborate and meet over video from a dedicated device at home, your desk at work or a phone room. And since meeting in smaller spaces creates additional opportunity to work together across larger groups, we've also recently expanded the number of meeting participants to 25 people for Google Apps customers. After testing Chromebase for meetings in its offices, SignalFx sees the benefits. 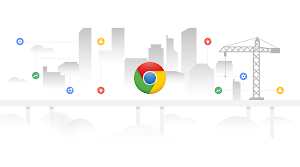 Chromebase for meetings gets technology out of the way; just plug it in, connect it to your network and you’re up and running securely. We're also happy to announce new features to our remote fleet management tools. Administrators can receive alert notifications and track health of their fleet of Chrome devices for meetings. They can remotely diagnose and troubleshoot audio, video quality and bandwidth problems. Administrators can also customize the interface using their own background images. Chromebase for meetings is available at $799 from our partners in the US, Canada, UK, Ireland and Australia. The cost includes the first year’s management and support fees. We'll soon after expand availability to additional countries where Chromebox for meetings is available today. 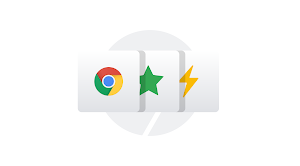 You can learn more about Chromebase for meetings on our website.